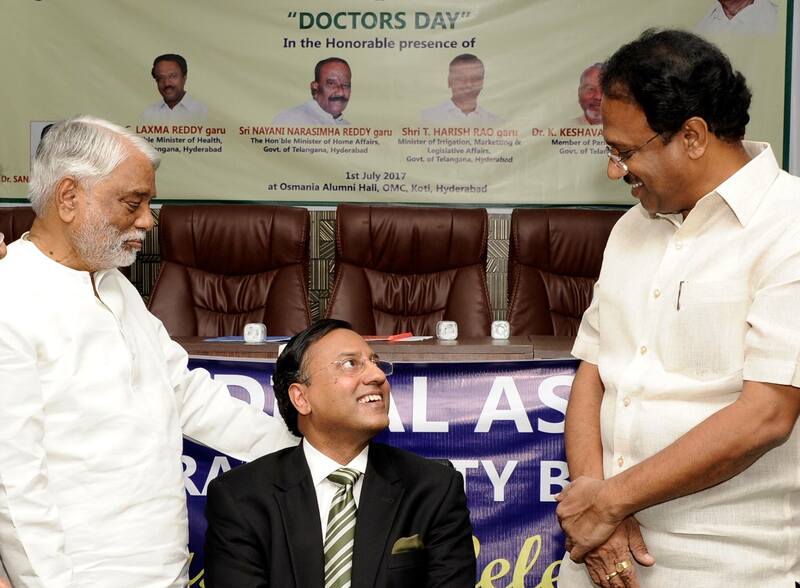 In India, Doctors day commemorates the extraordinary life of Bharat Ratna awardee, Dr B.C. 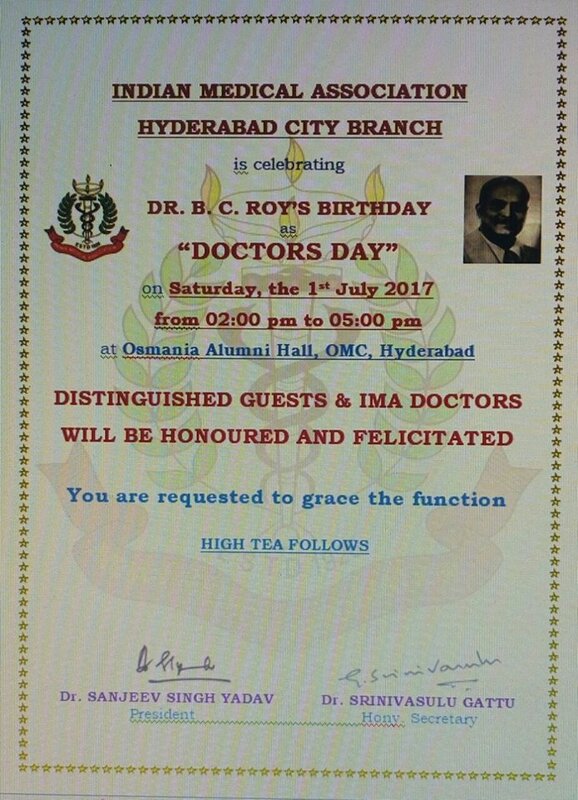 ROY on 1st July. 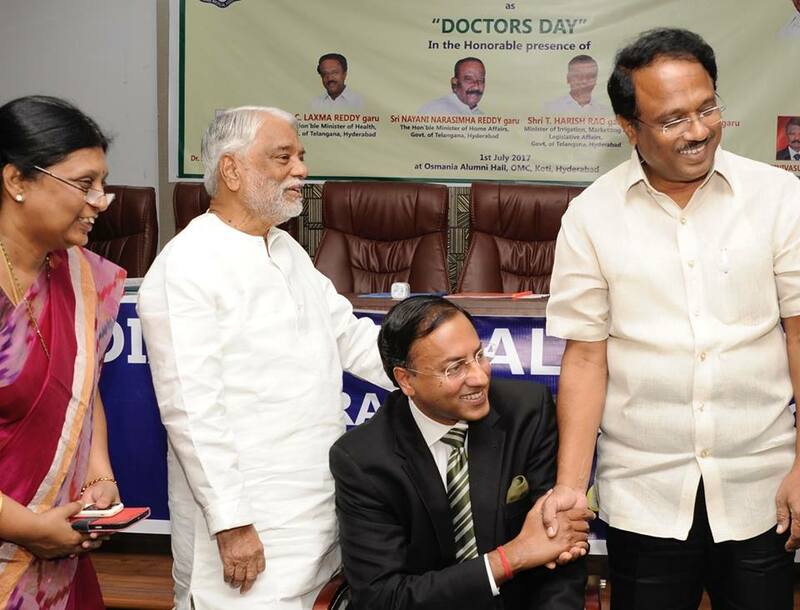 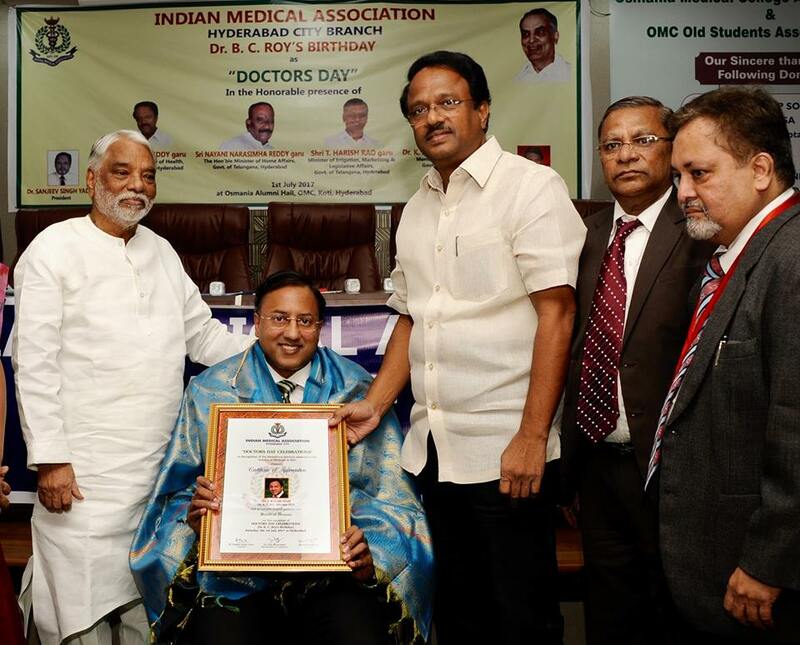 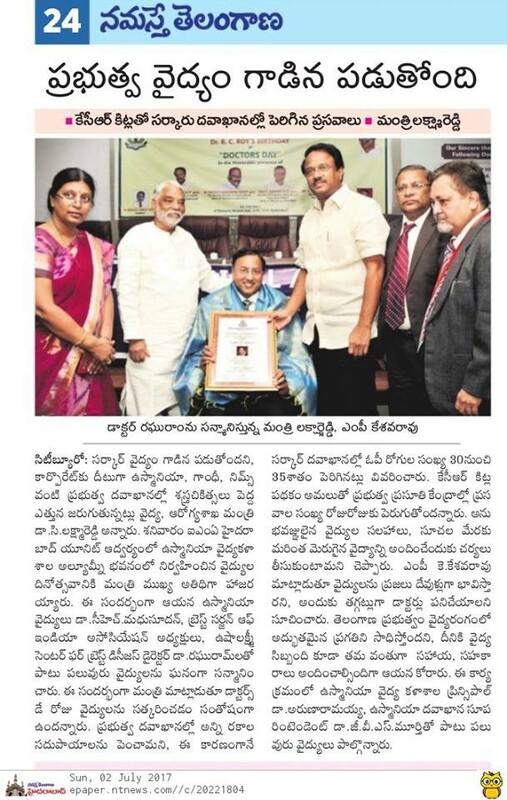 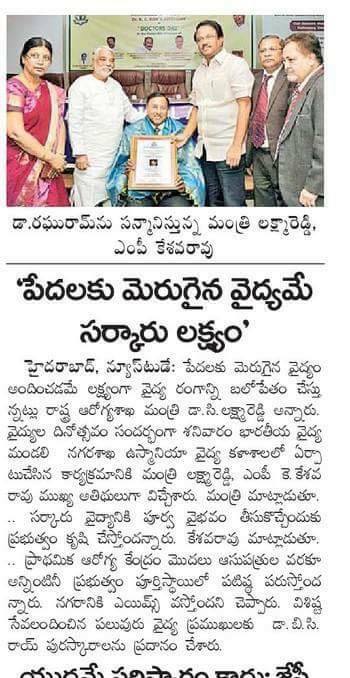 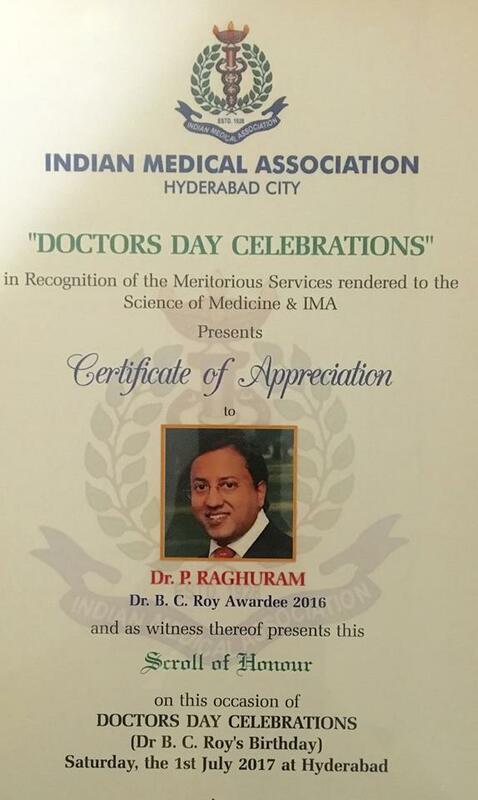 Dr. Raghu Ram was felicitated by Indian Medical Association in Hyderabad on being conferred the prestigious Dr.B.C Roy National award by Hon’ble President of India for the year 2016 for his ‘Outstanding service to Socio medical Relief’- the only doctor from Telangana selected for this Award for the year 2016 & the Youngest surgeon ever from the Telugu States to have obtained the highest recognition that could be achieved by a Medical practitioner in India.